How exactly do you bounce back from a critical and financial bomb as big as ‘Battleship’? If you’re director Peter Berg, you go make ‘Lone Survivor,’ a war film based on true events that’s already started generating extremely positive pre-release buzz. The strong ensemble includes the likes of Mark Wahlberg, Ben Foster, Eric Bana, Emile Hirsch and Taylor Kitsch. The newest trailer for the film has arrived and we certainly hope the finished film is as intense as it looks in the trailer. Berg has been making good-to-great film and television for quite some time now, with highlights ranging from ‘Welcome to the Jungle’ to ‘Friday Night Lights,’ but ‘Lone Survivor’ looks to be one of his most personal projects yet. 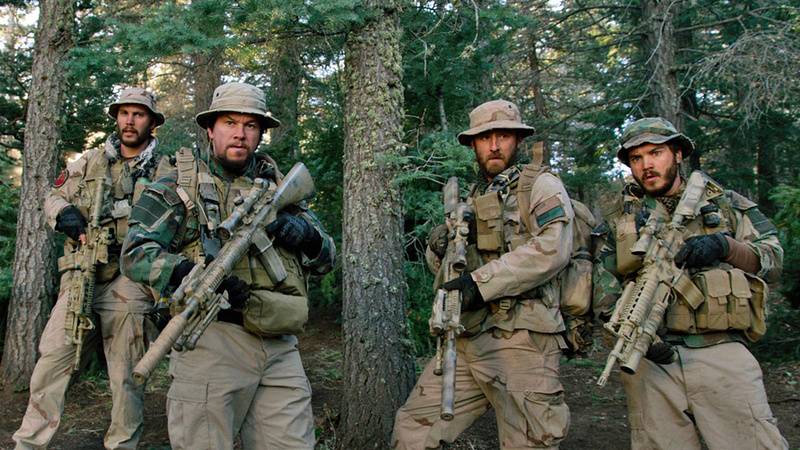 The director also wrote the screenplay, which tells the story of “Operation Red Wings,” an ill-fated military operation that saw four Navy SEALS venture deep into Taliban territory to capture or kill terrorist leader Ahmad Shahd. As the title implies, only one of the soldiers lived to tell the tale. This entry was posted in Movies, News, Trailers, Video and tagged Ben Foster, Emile Hirsch, Eric Bana, Friday Night Lights, Lone Survivor, Mark Wahlberg, Movie Trailers, Movies, Navy SEALS, Peter Berg, Taylor Kitsch, Trailers. Bookmark the permalink.